Amidst the current crisis in which our existing antimicrobial drugs are not always effective, CARB-X is working to accelerate antibacterial drug development that can one day save lives. Learn here about CARB-X in an interview with the Executive Director, Professor Kevin Outterson. Interview with: Kevin Outterson, J.D., LL.M. Imagine your mother or father is hospitalized and an infection is suspected. The doctor orders a blood culture, urine culture and sputum culture to send to the microbiology lab, then starts broad-spectrum antibiotics. Two days later you go back to visit and find your family member is sicker and there is now Acinetobacter baumannii growing from a blood culture. Doctors tell you the bacteria is resistant to every antibiotic the hospital has tested it against. How would you feel? Pretty scared, right? This is the exact scenario that is playing out in hospitals throughout the world today and for the clinicians standing next to the patients and their families, it is just as scary. The spread of antimicrobial resistance in pathogenic microorganisms combined with a meager antimicrobial drug development pipeline has spawned concern for human health worldwide. As such, the threat of antibiotic resistant bacteria is something now recognized by many leading health organizations across the globe. 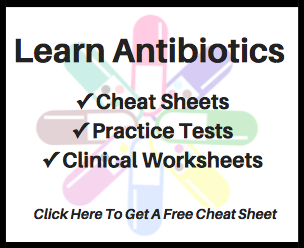 In the United States, the CDC even released a report in 2013 identifying antibiotic resistance threats. In March of 2015 The White House released a National Action Plan for Combating Antibiotic-Resistant Bacteria (available here). The goals listed within this document are numerous, including to “accelerate basic and applied research and development for new antibiotics, other therapeutics, and vaccines.” This is a key component in the task of addressing the threat of antibiotic resistance, because most large pharmaceutical companies have divested themselves of their antibiotic portfolios due to a lack of return on investment and many of the smaller start-up companies have failed to produce results. In steps CARB-X. CARB stands for Combating Antimicrobial Resistant Bacteria and CARB-X was created following the 2015 Action Plan plus a similar call for action from the United Kingdom. CARB-X was officially launched in July of 2016 and is a non-profit partnership headquartered at Boston University (Boston, MA). The activities of CARB-X are vast and complex, but there can be no doubt that it is one of our best hopes for fostering the development of new weapons to fight the threat antibiotic resistance. 1. As a health law professor, how did you get involved in working to solve the current problems with antibiotic resistance? I spent 15 years as a researcher, looking into why the corporate business model does not work for the development of products to treat antibiotic resistant bacteria, and developing potential solution. Intellectual property law is poorly suited for this drug class. CARB-X is a new public-private economic model that I believe can help us solve this urgent need to develop new antibiotics and other life-saving treatments for drug-resistant bacteria. CARB-X provides non-dilutive awards that support pre-clinical antibiotic research. All of our funding is milestone based and can be used to attract additional private capital. 2. Could you briefly describe your role as the Executive Director of CARB-X? I lead the team entrusted with $455 million dollars to accelerate global antibacterial innovation. The funding is from the Wellcome Trust in the UK and the Biomedical Advanced Research and Development Authority, a component of the US Office of the Assistant Secretary for Preparedness and Response (ASPR/BARDA). The National Institute of Allergy and Infectious Diseases, part of the US National Institutes of Health (NIAID/NIH), provides preclinical services. 3. With hundreds of millions of dollars in funding and 18 high-quality antibacterial products so far, CARB-X has a lot of good stuff going on. Is there anything that stands out as being most exciting to you? Many excellent science programs are being progressed that otherwise might be abandoned from lack of funding. It is exciting and encouraging to see these teams able to advance their research. It takes years of hard work and millions of dollars to develop a new drug. CARB-X is helping to make it possible for the best science to move forward. 4. What should pharmacists know about CARB-X? First: The last approved class against Gram-negative bacteria was introduced in 1983 and invented in 1962. We are long overdue for a new class. In the current CARB-X portolio, we have 8 drugs that would be first in class against Gram-negative bacteria, if they succeed and receive FDA approval. Second: When new drugs are approved, we must do a better job with antibiotic stewardship to avoid inflicting this problem on the next generation. 5. Are there ways that people can support the efforts of CARB-X? If you know anyone with $50 million or more to invest in global health, send them to CARB-X. We also need to educate our peers and society at large about this threat so we can do a much better job with these powerful drugs. Antibiotics are the most important drug class in human history and we are at risk to lose them entirely if we are not careful. 6. CARB-X had many successes in it’s first year from 2016-2017, as described in the annual report. What can we expect from CARB-X in the years to come? Our funders will judge us based on how many entirely novel products move into human clinical trials and eventually to approval. We make a tangible difference in the battle against drug resistance only when new products reach the market. I would like to express my utmost appreciation to Professor Outterson and the good people at CARB-X for taking the time to complete this interview and for their important work. Professor Outterson teaches health care law at Boston University, where he co-directs the Health Law Program, currently ranked #5 in the country by US News. He serves as the Executive Director and Principal Investigator for CARB-X, a $455m international public-private partnership to accelerate global antibacterial innovation. Key partners in CARB-X include the US Government (BARDA & NIAID) and the Wellcome Trust. His research work focuses on the law and economics of antimicrobial resistance. He is an Associate Fellow at the Royal Institute of International Affairs (Chatham House). Professor Outterson was a founding member of the Antimicrobial Resistance Working Group at the CDC. He was a senior consultant on the Eastern Research Group study on antibiotic markets for FDA/HHS. Starting in October 2014, he joined DRIVE-AB, a three-year €9 million project on antibiotic business models sponsored by the European Union’s Innovative Medicines Initiative. Professor Outterson also serves on the Advisory Panel for the Longitude Prize for an inexpensive rapid point-of-care antibiotic diagnostic. Professor Outterson was given the 2015 Leadership Award by the Alliance for the Prudent Use of Antibiotics for his research and advocacy work. He has testified before Congress, Parliamentary working groups, WHO, and several state legislatures. He serves as the faculty co-advisor to the American Journal of Law & Medicine; past chair of the Section on Law, Medicine & Health Care of the American Association of Law Schools; former Editor-in-Chief of the Journal of Law, Medicine & Ethics; and the current President of the Board of the American Society of Law, Medicine & Ethics. Professor Outterson is an occasional author for the New England Journal of Medicine on health law topics and has published extensively in medical, legal and health policy journals. He practiced law for a dozen years, at McDermott, Will & Emery (Chicago, IL) and Baker Donelson (Nashville, TN).